Who would still be playing with the Playstation 1? ME. 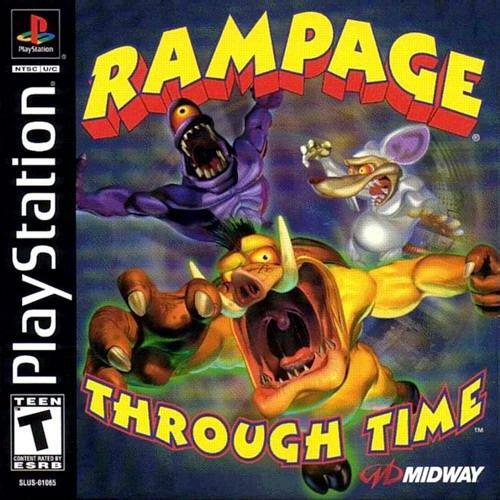 Well, at least this particular game called Rampage Through Time. 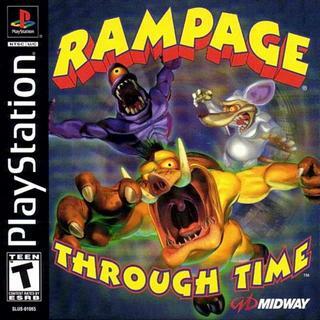 Basically, its an extension of the original Rampage series which I must say simple, but will never be replaced. This is just one of those beat them up where you can take the bad guys for a change. I must say this is probably the first PSX game I beaten on the PS2. I start to realized the so many problems of playing PSX games on PS2. First there is the Gameshark. Well fortunately Codebreakers codes are 100% compatible. Next is the savegame. I had a multi bank save, which I just found out will not switch bank on the PS2... To add to the problem, there is no way to manage the PSX Memcard in PS2. This means I have a full card not able to delete off the older saves. A real situation this is now. I will have to find out how to or else this is probably the last PSX game I can play on the PS2 as well. P.S. I still like Ralph as compare to all the other monsters.